I remember my first stay in Lima twelve or so years ago, I was just expecting to go through the city as quickly as possible and get out to explore the other wonders of Peru, like the colonial city of Cusco, the magnificent ruins of Macchu Picchu, or the altitude lake Titicaca. Lima at the time had a bad reputation of being violent, and not at all that interesting compared to the rest of the country. But the I had to stay there for a while, waiting for my mother to join me from Europe for our two week trip. And as I ventured to explore the city, thinking “might as well make the best of it”, I was actually pleasantly surprised. There are lots of things to do in lima, diverse neighborhoods to explore, a vibrant nightlife and a great culinary scene. Here are a few things you can’t miss on your next trip to Lima. 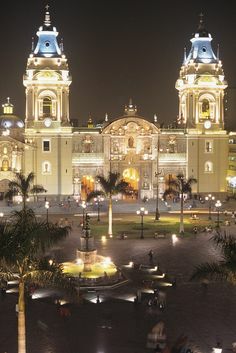 The cathedral sits on the Plaza de Armas, Lima’s main square. It houses a museum with religious art, most of it dating back to colonial times, and the 17th century Archbishop’s palace. On the Plaza de Armas, is also the Government’s Palace, and behind it the Peruvian House of Literature, an old train station turned into a library. Back in the colonial times, there were plenty of churches and monasteries around Lima, but the San Francisco monastery is one of the best preserved to date. Built in the late 17th century, San Francisco is a baroque building with a huge dome. Its museum shows the first religious texts brought over by the colons in hopes to convert the Incas to catholicism. One of the oldest house of the city, the Aliaga House dates back to the 16th century, when Francisco Pizarro founded Lima. It features Peruvian art, and has been kept in great condition, as it still belongs to the Aliaga family to this day. Miraflores is a posh district of Lima that stretches along the Malecón, a lovely waterside walk. There are about six miles of parks by the Pacific Ocean. 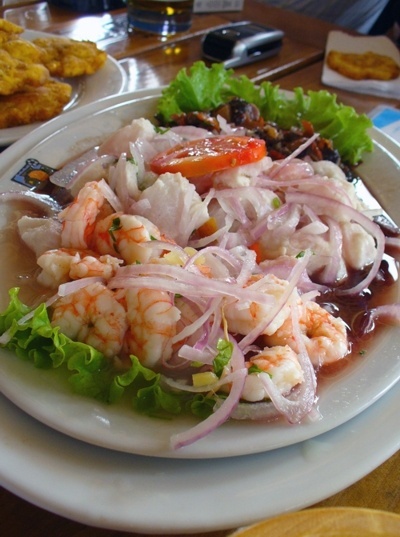 It is the perfect place to relax, and enjoy one of Peru’s most famous dishes, the ceviche, raw seafood marinated in lime, onions and chili peppers. From the little seaside informal shack to five star restaurant, you will find everything you want for an exquisite taste of local delicacies. You can also rent a bike or just sit by the sea and watch and amazing sunset. Lima is a perfect destination if you want a mix of both historical monuments, a beautiful old town centre, and the modernity of the seaside. It is also a very affordable city, where your holiday budget will go a long way. It’s a great information for us about these 4 Things you can’t miss in Lima. Glad to read this post. Thanks and God Bless.